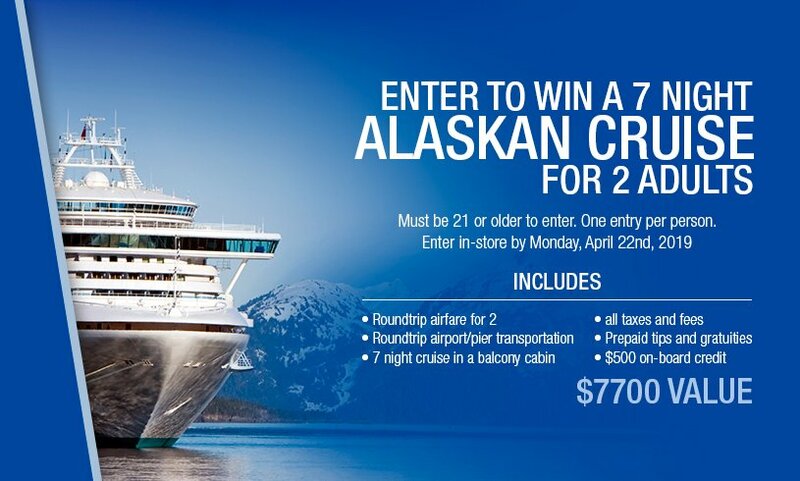 Enter to Win a 7 Night Alaskan Cruise for 2 Adults. Enter at any RC Willey Store location. 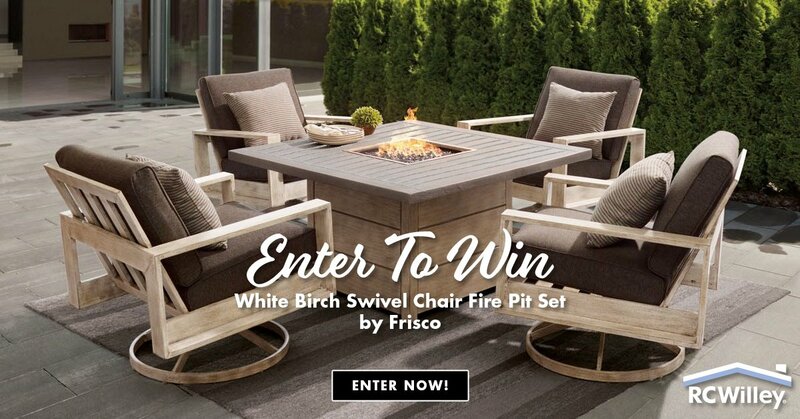 Enter to win a White Birch Swivel Chair Fire Pit Chat Set in our current contest at RC Willey. The patio set worth $1899.99 and could be yours if you win our current contest! Here's how it works: Click the image to the left and fill out the subsequent form. You will see there are many ways to gain extra entries into this month's contest so you can increase your chances of winning. And if you'd like to see all the past contest winners and their prizes, check out our Winner's Circle. We are also hosting giveaways over on our Instagram this month! Look for the posts labeled "April Giveaway" and be sure to enter!